Exclusive to MWC19: new SIM card distribution kiosk! J-4 MWC: New SIM card distribution kiosk! 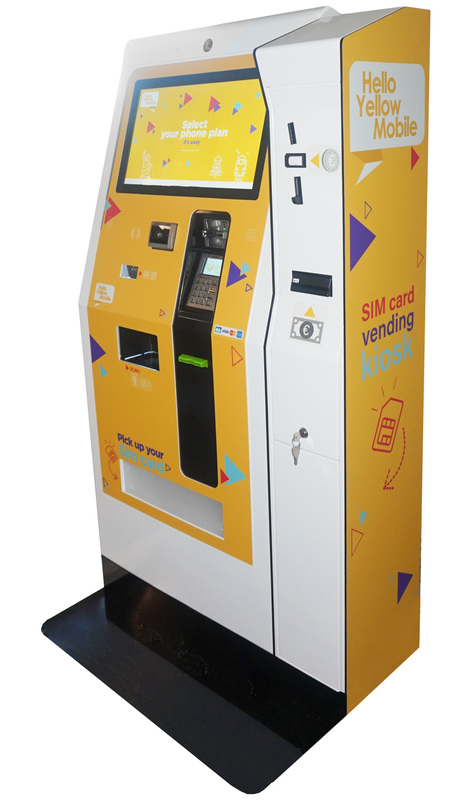 On the occasion of the Mobile World Congress 2019, which takes place in a few days in Barcelona, IPM France will be exclusively unveiling its new interactive SIM card distribution kiosk! Already deployed in France for the operator Free Mobile, this touch terminal solution lets users choose a package, pay and receive their SIM card instantly and completely independently. The kiosk presented on the stand of IPM France offers a new feature: cash payment (coins and notes)! With this new interactive terminal, users can pay for their phone plan by credit card (via the secure payment terminal built into the terminal) or cash, using the side column for cash payment integrated into the kiosk! on the pavilion of French Tech and Business France. Learn more about the Mobile World Congress 2019! Organized by the GSMA , from 25 to 28 February 2019 in Barcelona, the Mobile World Congress is the largest mobile gathering in the world. It brings together the latest innovations and advanced technologies from more than 2,400 companies. Throughout the Mobile World Congress, conferences are held by mobile visionaries to explore the trending topics that influence this sector. In partnership with French Tech!